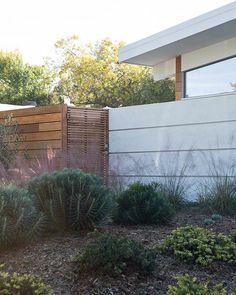 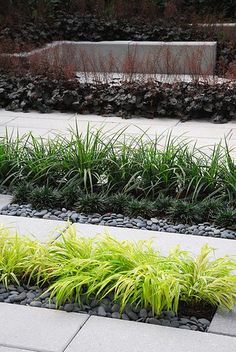 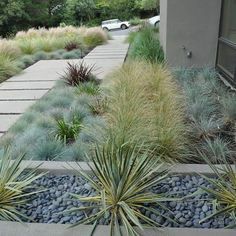 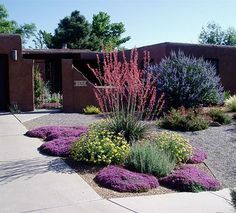 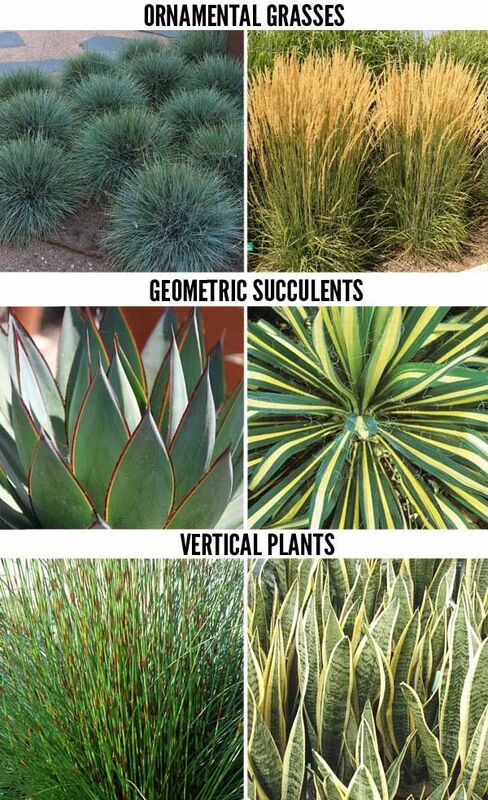 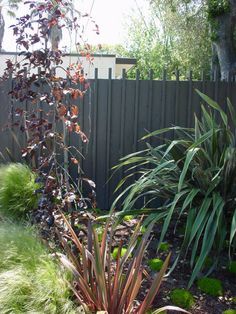 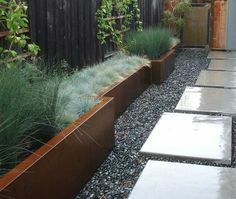 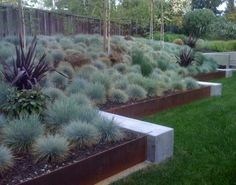 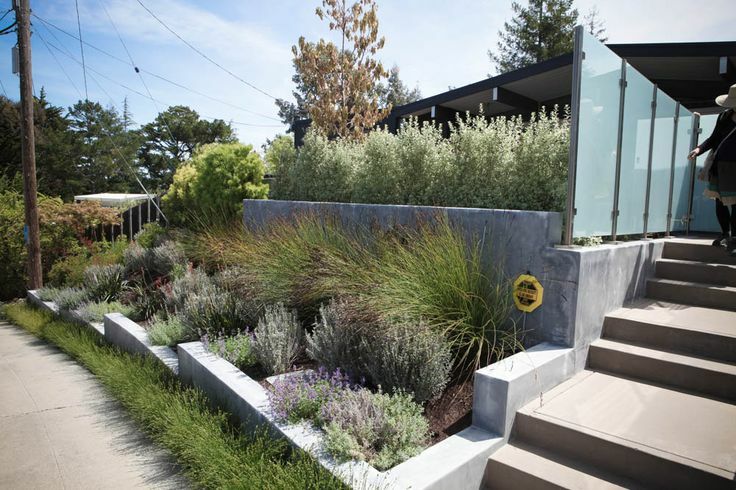 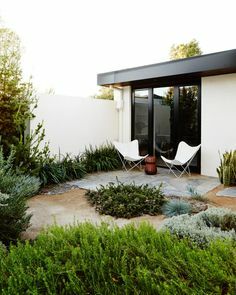 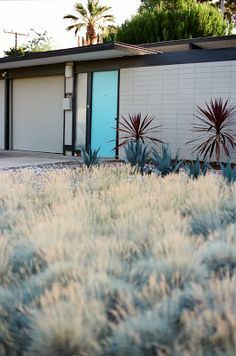 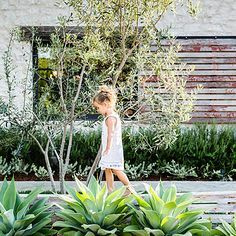 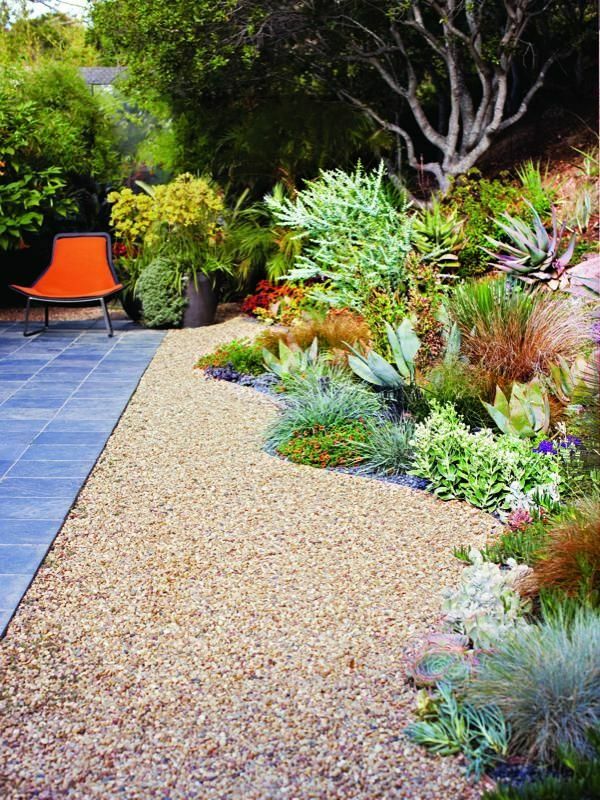 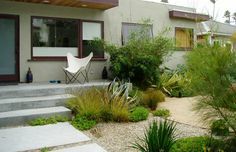 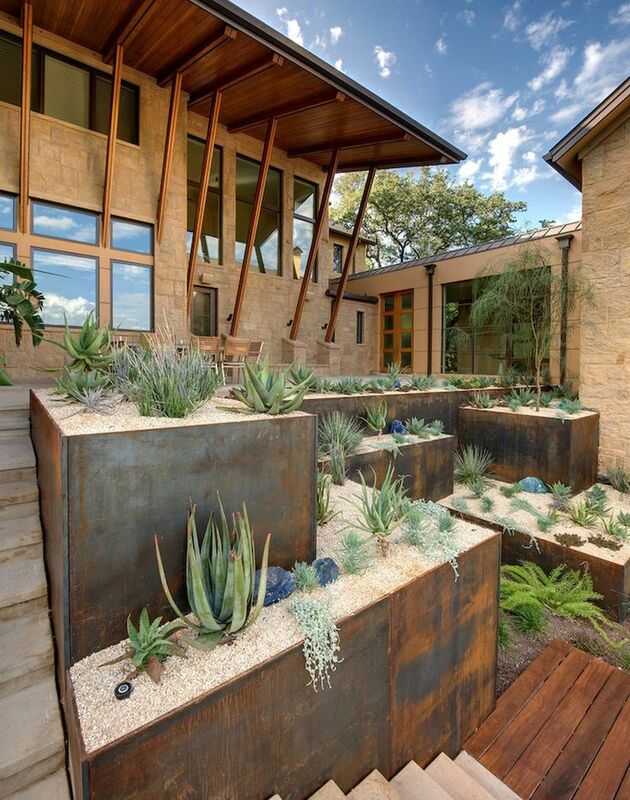 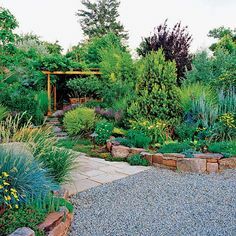 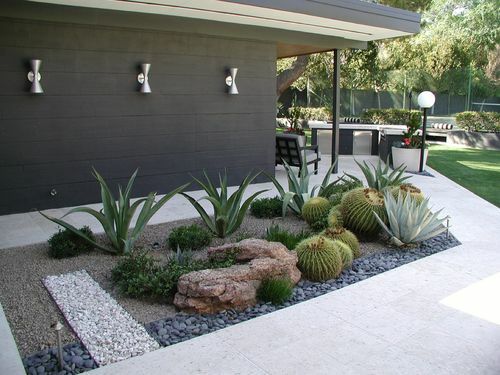 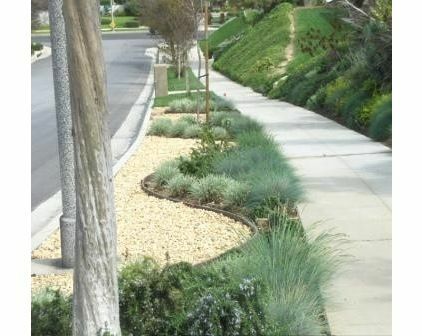 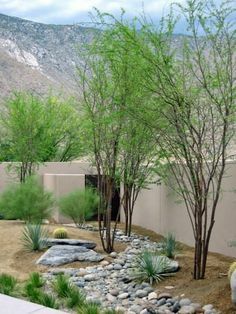 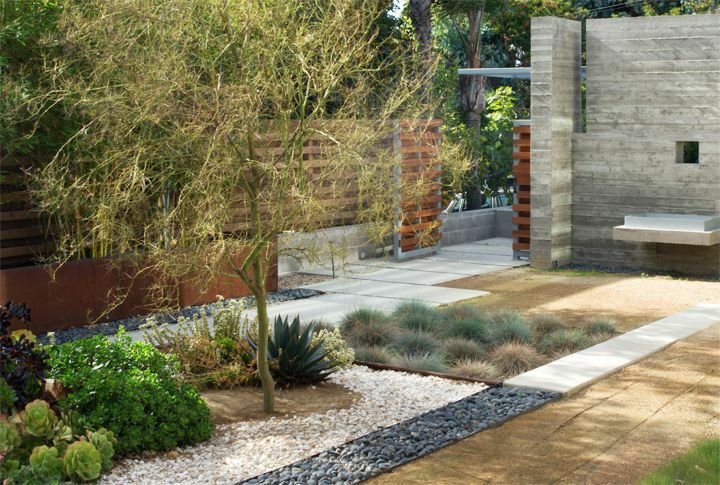 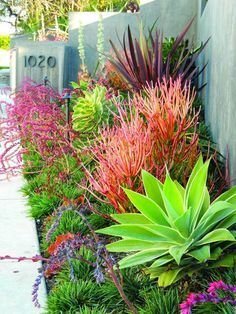 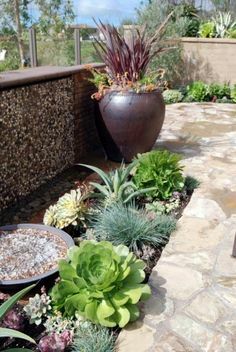 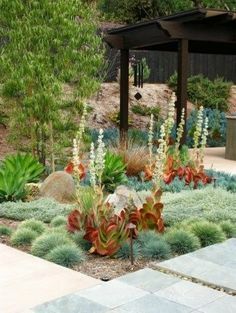 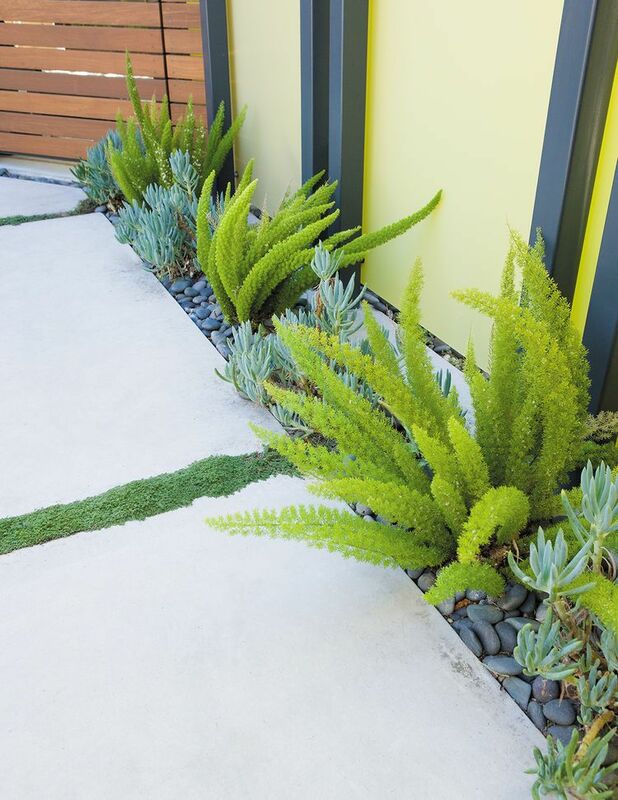 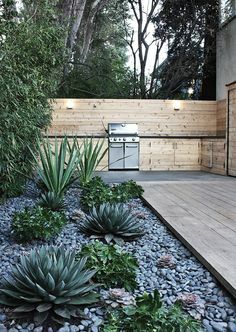 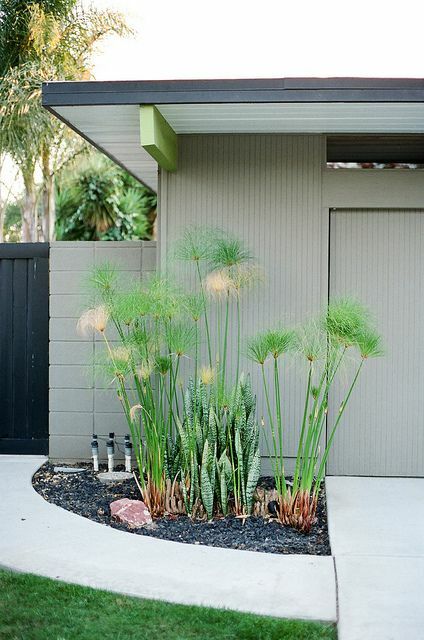 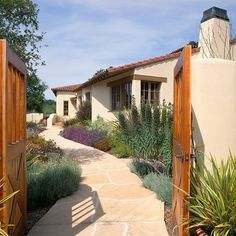 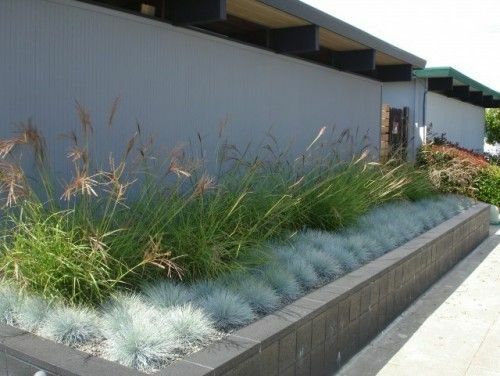 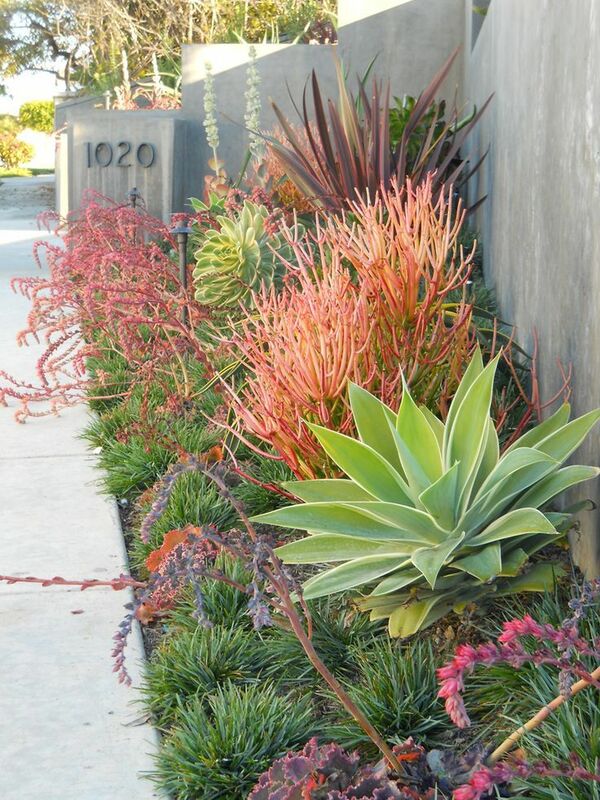 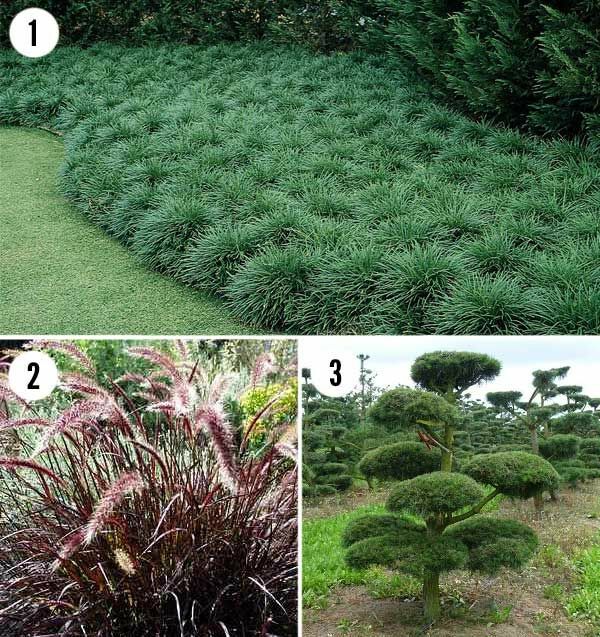 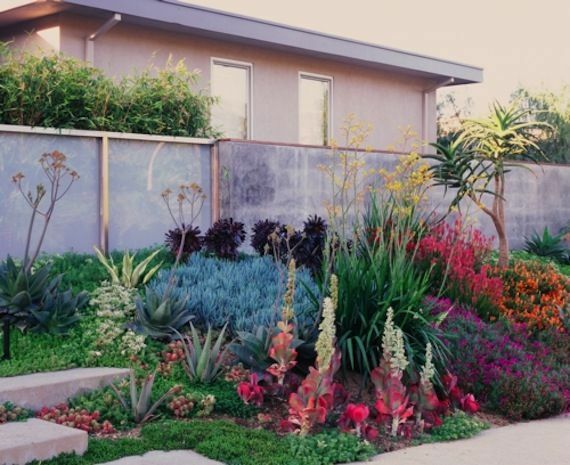 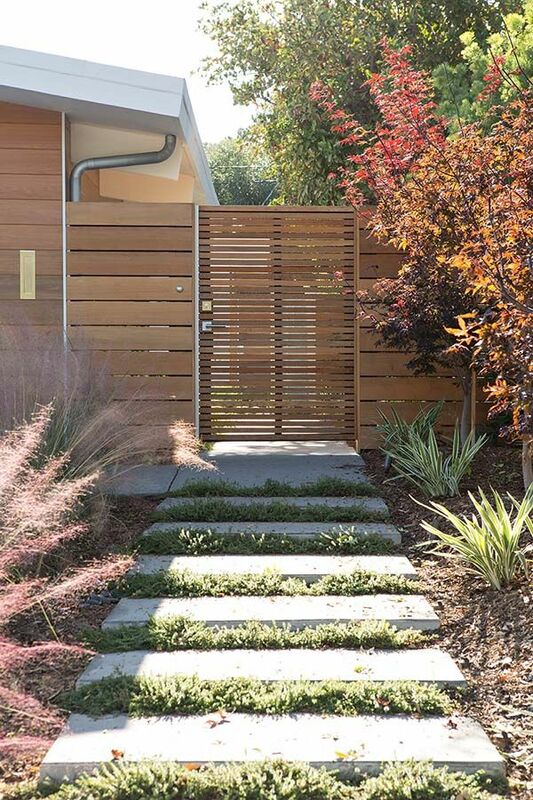 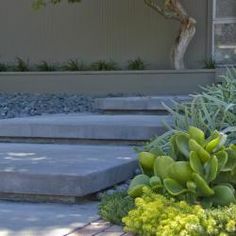 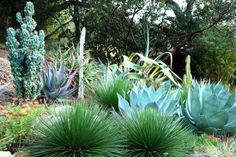 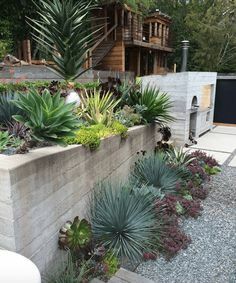 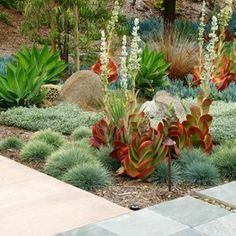 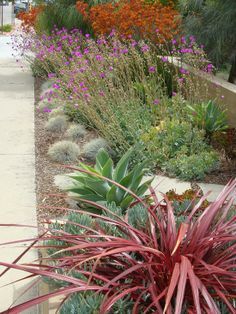 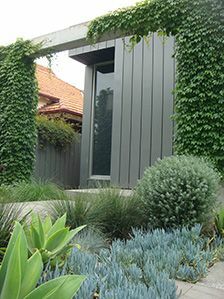 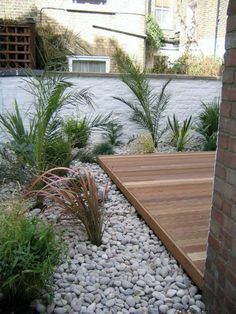 A gorgeous California no-lawn garden -- love that curvy border of succulents and grasses! 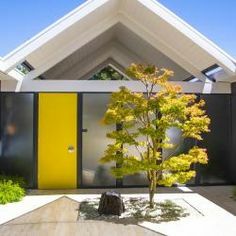 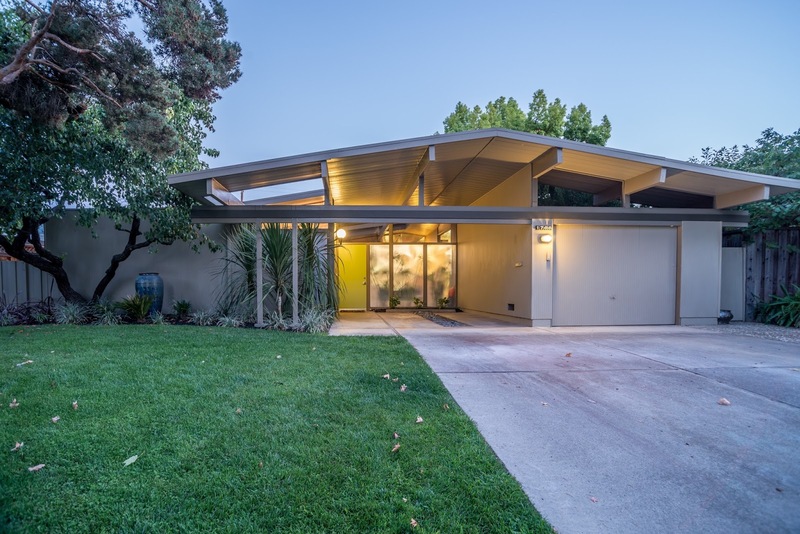 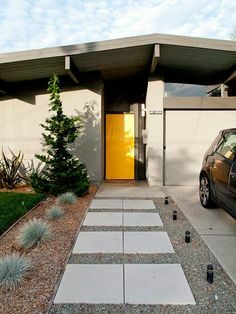 Eichler home in Orange. 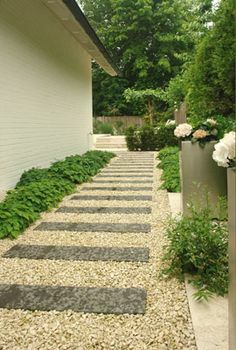 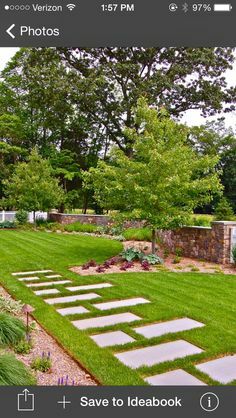 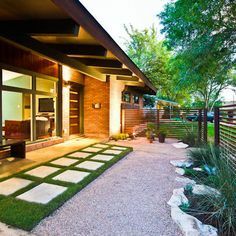 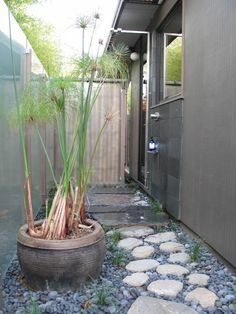 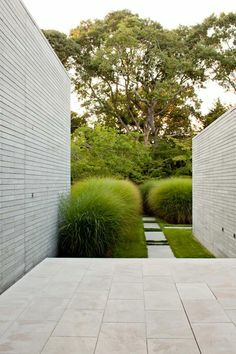 I like the staggered concrete pads for a wider walkway. 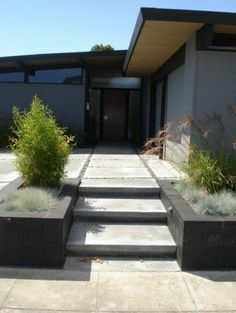 Tear out front yard path? 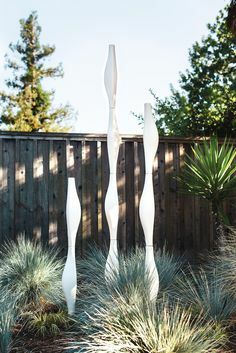 Or recycle broken peices? 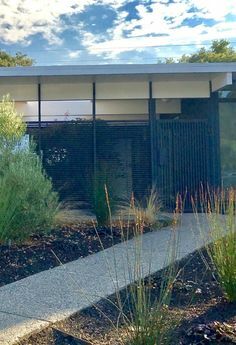 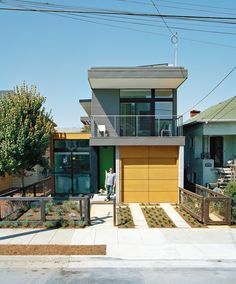 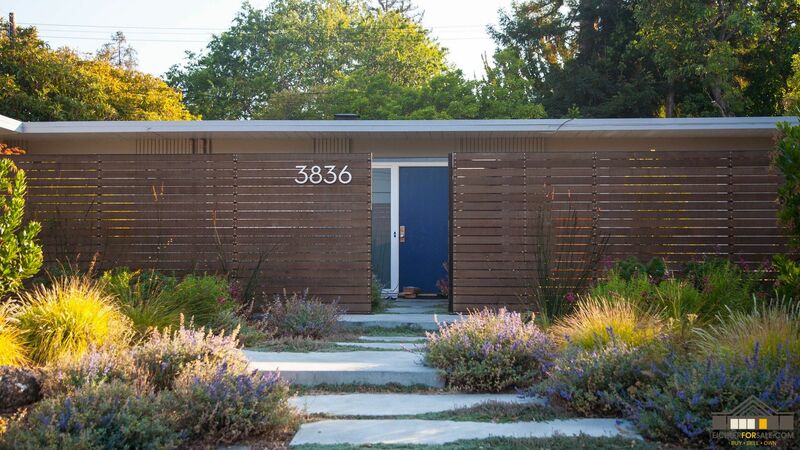 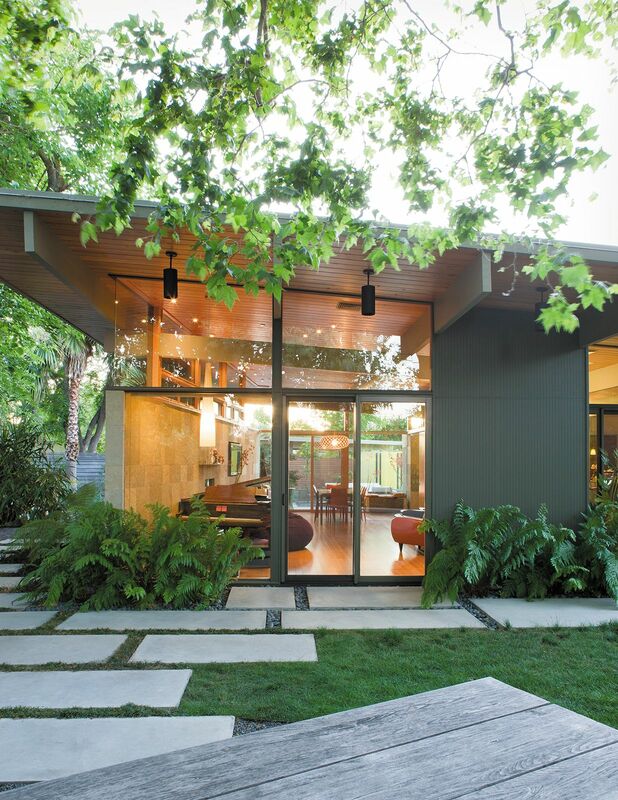 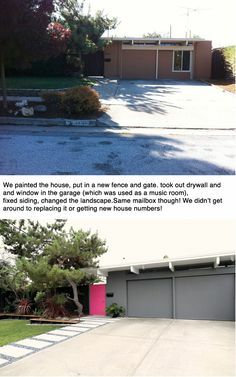 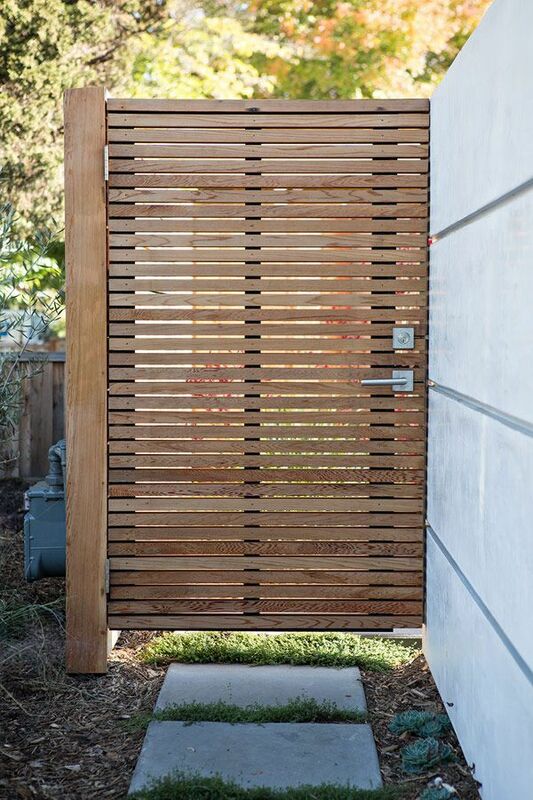 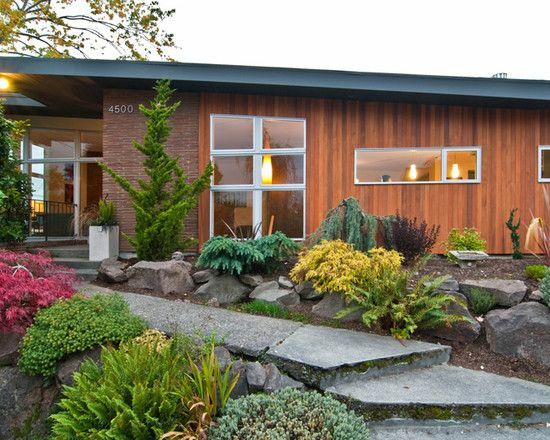 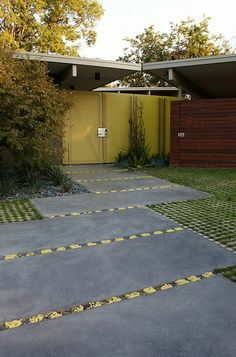 The horizontal lines of Eichler homes don't interfere with the surrounding landscape. 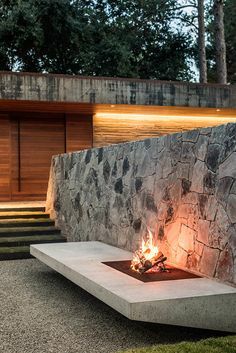 Love the contrast of stone and wood. 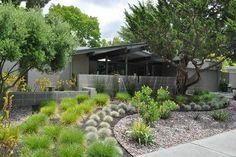 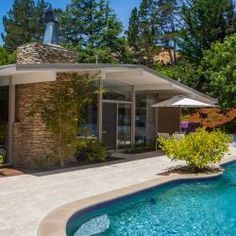 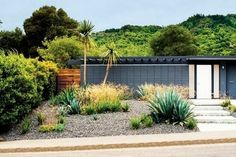 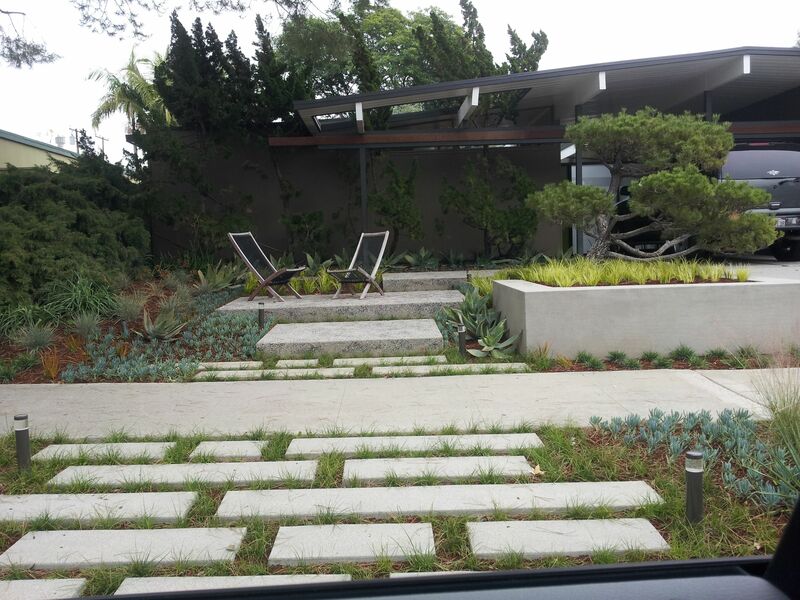 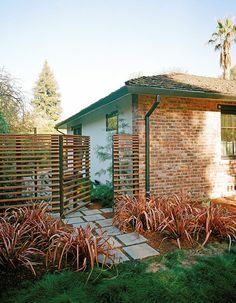 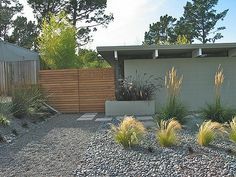 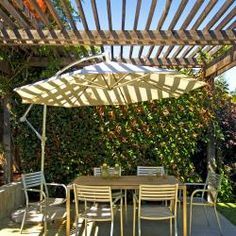 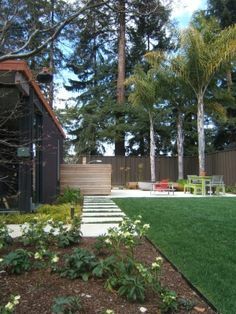 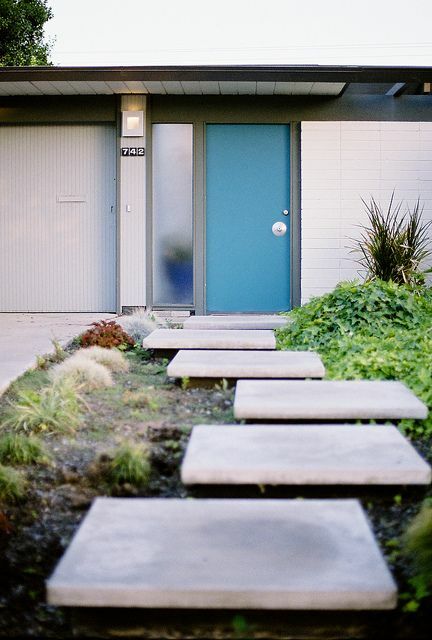 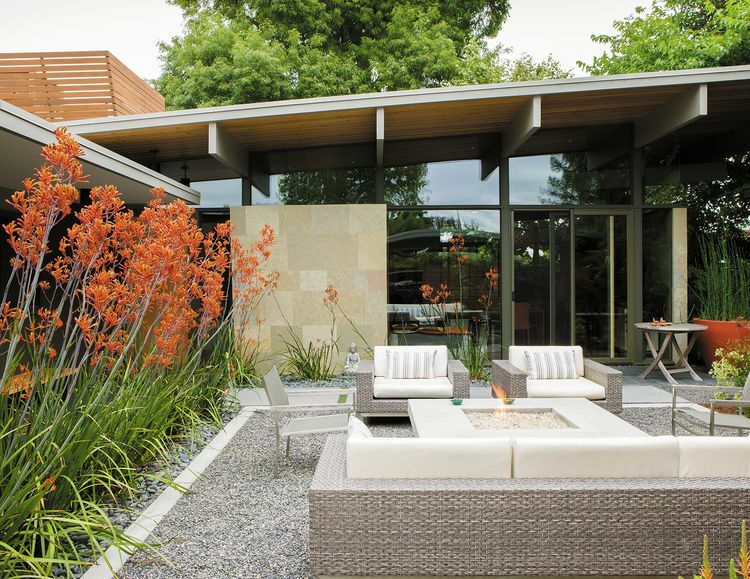 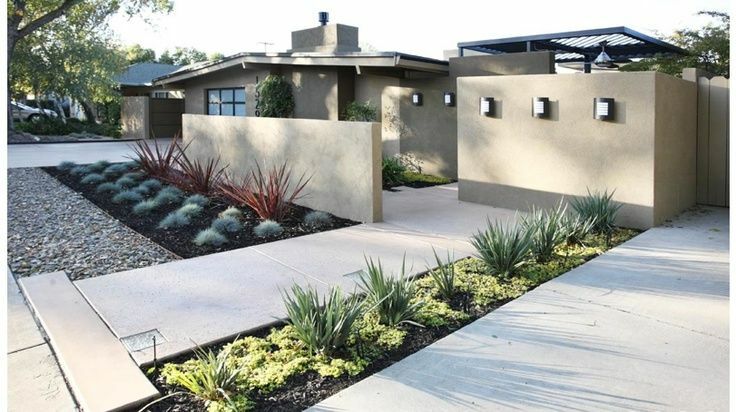 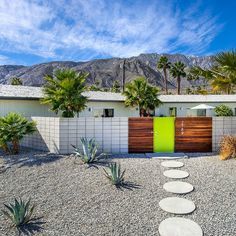 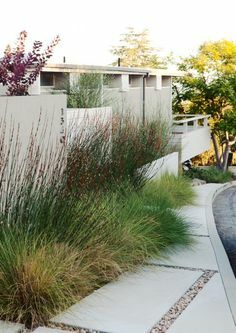 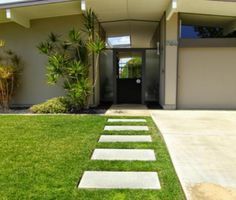 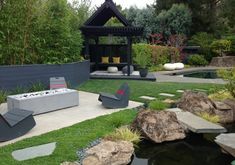 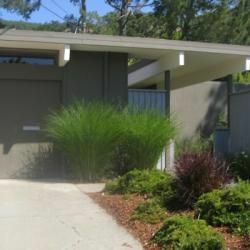 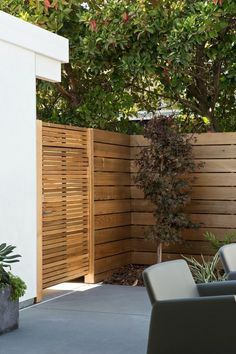 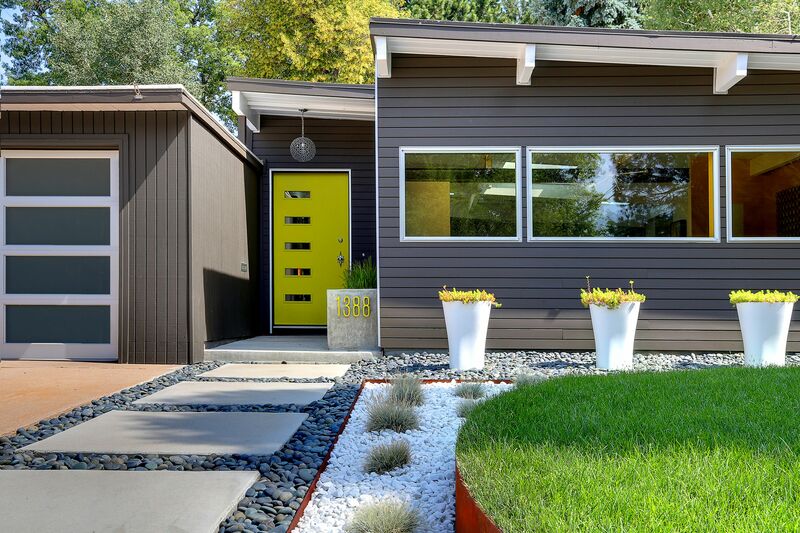 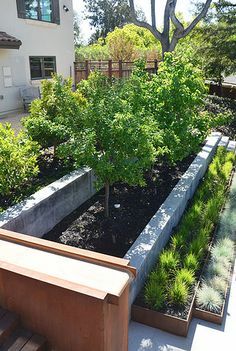 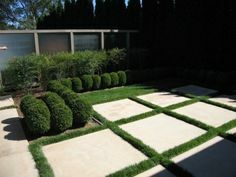 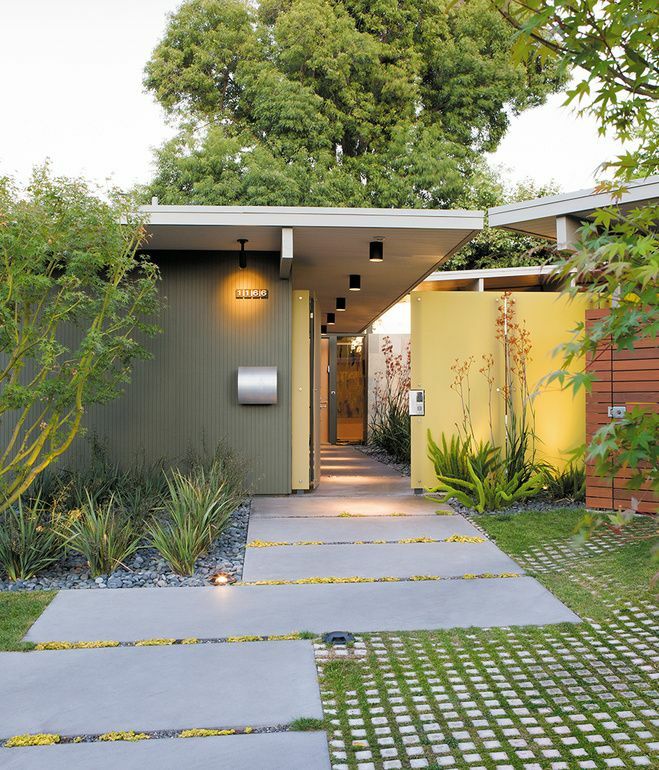 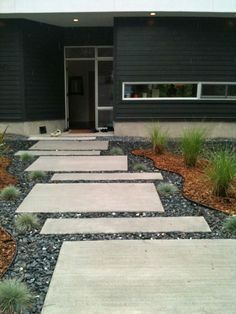 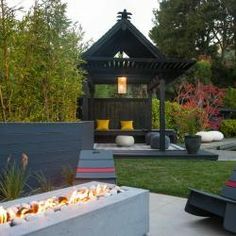 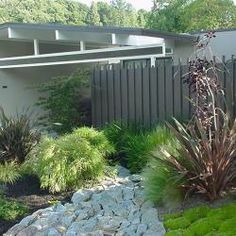 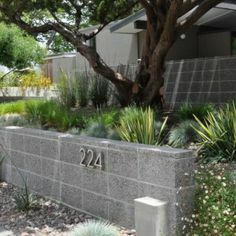 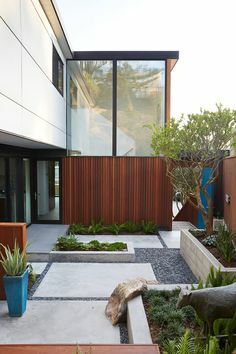 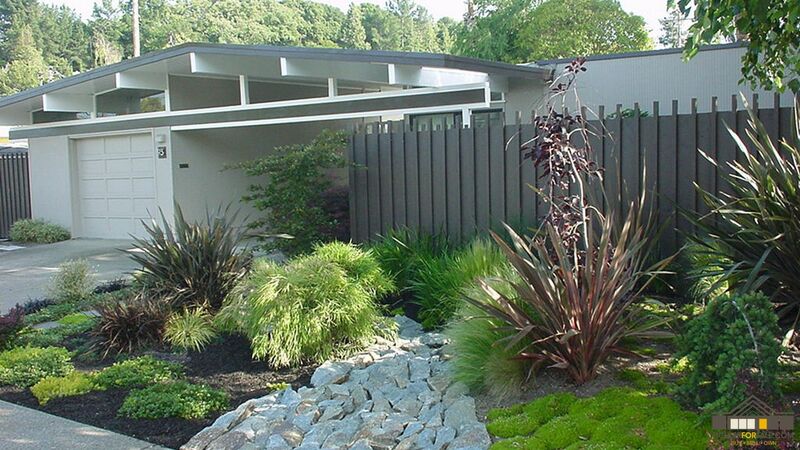 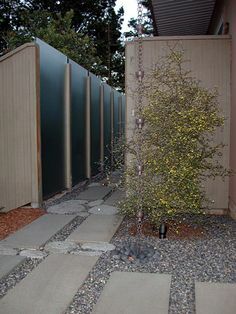 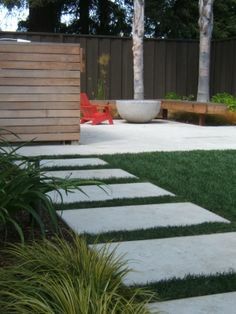 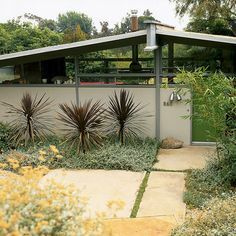 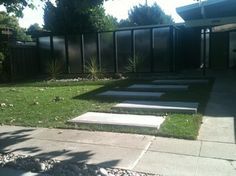 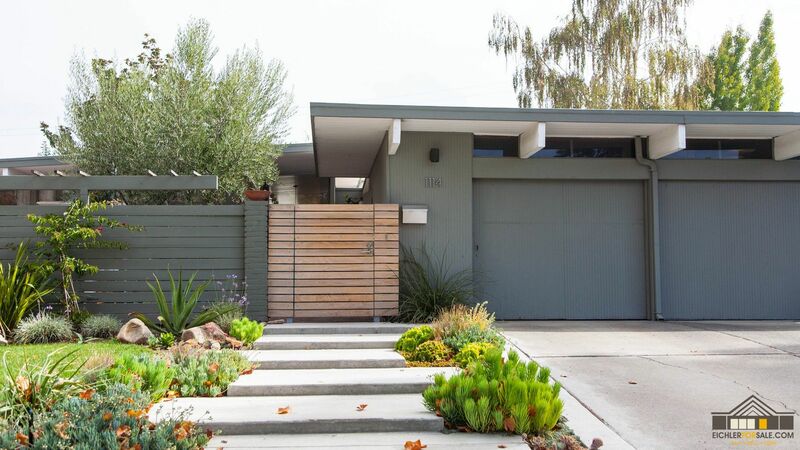 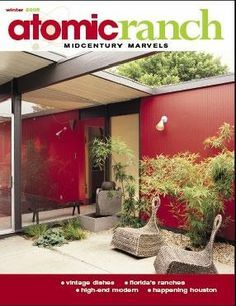 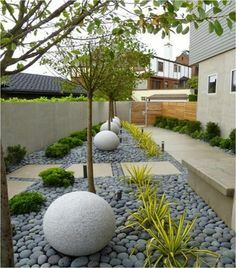 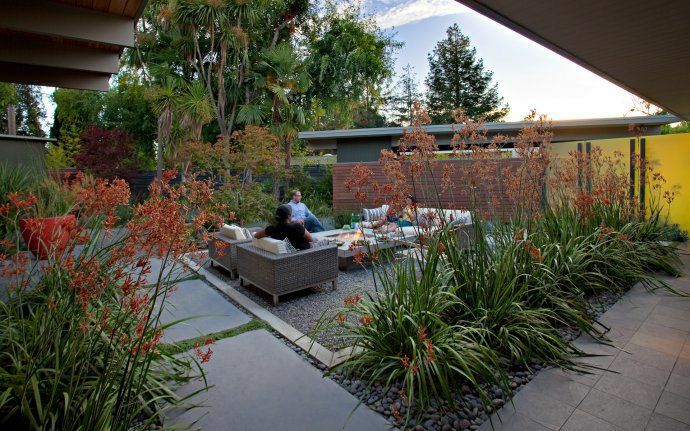 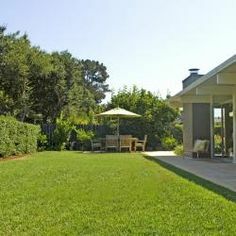 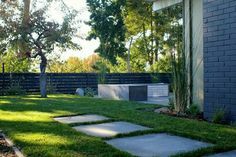 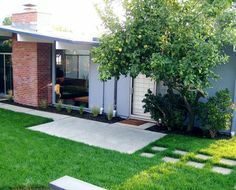 Eichler homes - Orange California - fabulous MCM landscaping. 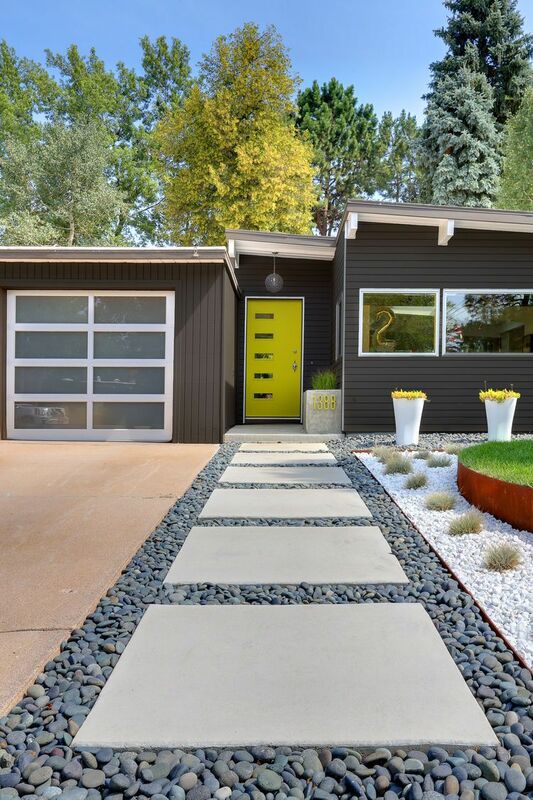 Working with a strict budget, a team from Three Sixty Design reimagines a Denver yard.